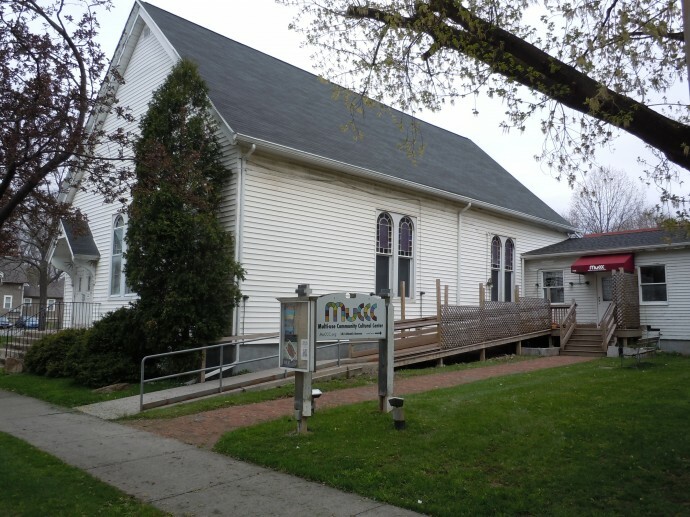 The MuCCC Theater is an all-volunteer black box theater that presents theater and performance that reflects the diversity of the Rochester community. MuCCC is housed in a repurposed 19th century Baptist Mission. Behringer M 1204 8 Fader mini board with XLR, RCA, 1/4” and mini jack inputs / outputs. 6 channel audio snake available. Approximately 12’ X 15’ dressing room with sinks, mirrors, hanging racks and dressing counters. Backstage unisex bathroom just off of dressing room.